John Canemaker is an Academy Award-winning independent animator, animation historian, teacher, curator, author and lecturer, whose works have appeared to acclaim at film festivals, museums and universities around the world. 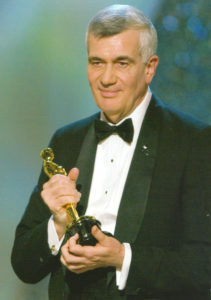 He won a 2005 Oscar and a 2006 Emmy Award for his 28-minute animated short, The Moon and the Son: An Imagined Conversation. His personal films are part of the permanent collection of The Museum of Modern Art in New York and are distributed by Milestone Film & Video . John Canemaker has written 12 books on animation history that are among the most important and thoroughly researched in the field, as well as numerous articles, reviews and interviews for major print and electronic media.